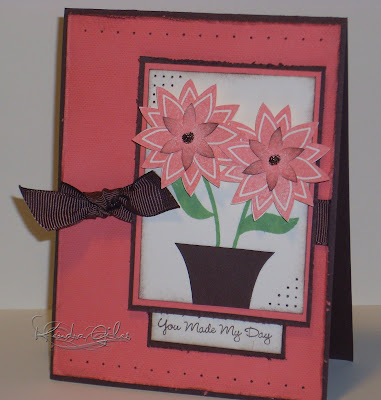 This is one of the newest sets that will be released by My Favorite Things on November 1 - it's called Build a Bouquet! It is absolutely wonderful - this set is amazing and is a must have! Kim really outdid herself this time!!! 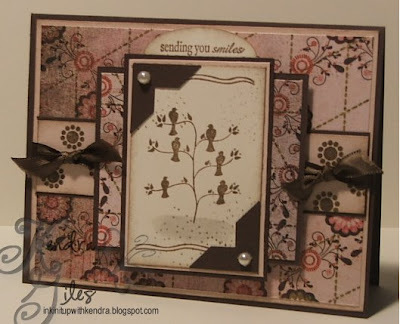 The sentiment is also from one of the other new releases, Essential Sentiments - which includes 28 different sentiments and they ROCK! I will be back tomorrow with another Sneak Peak and you won't want to miss it! 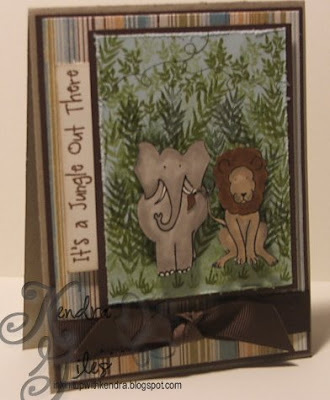 It's Time for the newest release from Hanna Stamps! I absolutely LOVE this new set called 'Tis The Season! Isn't it just adorable?!!! 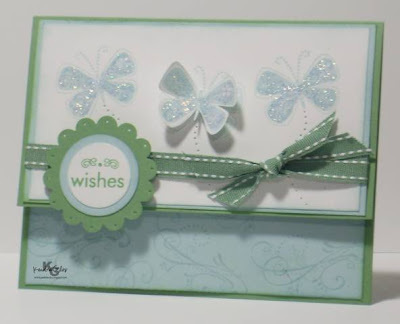 Kristi is offering FREE SHIPPING for the entire month of October - run on over to Hanna Stamps and get yours today - you can't beat free shipping. This set includes 13 stamps and the possibilities are endless! 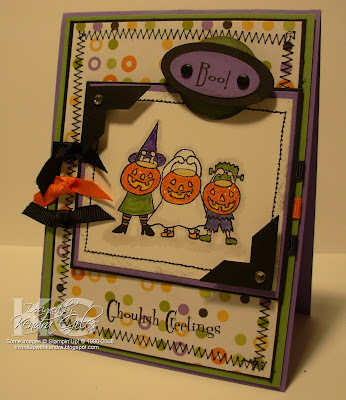 I will be back tomorrow with an MFT Halloween card that is too cute - I used my new Janome sewing machine and can't wait for you to see! I received an email from Take Ten Magazine this morning that I have been published and will be receiving my complimentary copy! I am seriously stoked about this, since this is my first time being published. I haven't a clue what card/cards were picked up b/c I sent several, but I guess I am about to find out! woohoo! I have recently received some really beautiful cards in the mail - one from my friend Katy Clark (katydidnt on SCS) who I met at the Arlington SCS shoebox swap a few months back. Katy sent me a beautiful card with some touching words inside - I can't wait to post her card. The other cards I received were from a My Favorite Things Swap I joined in on - there were some supah cute cards! There was one card in particular that really jumped out at me - it was from Pam Bassett (4hounds on SCS) - her card was absolutely amazing! Pam and I have been emailing each other back and forth. She is so FUNNY and supah sweet! I think it's a great start to a wonderful friendship. If you haven't seen her gallery, click on the link above and check it out - also Pam is a new blogger so go and check out her new blog - Indigo Studio! 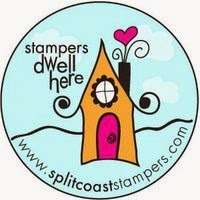 I'll be back in a day or so with some really cute stuff to post from My Favorite Things and Hanna Stamps. This is a very special My Favorite Things set! Think Pink is special because 50% of the proceeds from each set sold will go directly to breast cancer research. This set is absolutely amazing and I am so excited to be a part of it and to be a part of the My Favorite Things Design Team. If you don't have Think Pink yet, then head on over to MFT and order yours now! 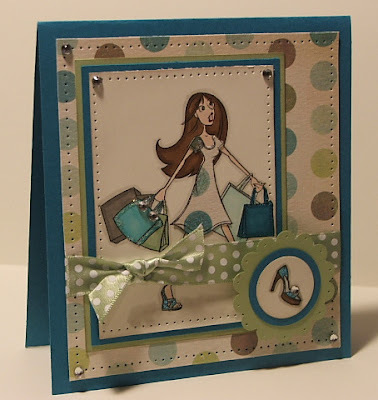 The Unveiling of Kristi Ferro's Hanna Stamps is today and I am so excited! You have got to go over and check out Hanna - the set is only $15.95 and there is FREE SHIPPING for the entire month of October - WOW, what a deal - you can't beat that! This is another Design Team that I am so lucky to be a part of, we have some amazingly talented women! This is straight from Kristi Ferro's blog so check it out! Hanna Stamps! 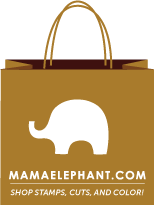 will be offering a HUGE incentive program that encourages you to start making items and sending them in for publication. We are offering $100 for each and every publication made with Hanna Stamps! and also mentions our company name with it. Yes that is correct!! Example: If you get 5 cards published using our stamps, and the publication mentions our stamps were used to create your item, then you get $500 cold hard cash baby!!! This is open to everyone and anyone, not just my design team. So please, start making those cards, scrapbook pages, 3-D items, and send them out. They do not have to be elaborate items. How many times have you seen magazines with cards and say to your self..."Oh man, I could have made that!!" Now is the perfect time to get going. There is no tricks or no hidden clause. It is as simple as it sounds. You get published in a national magazine with our stamps, the article says you used our stamps...and BOOM...$100. NO it is not a gift certificate either. COLD HARD CASH! !, well ok a cold hard check. Get on over to Hanna Stamps and place your order tomorrow!!! 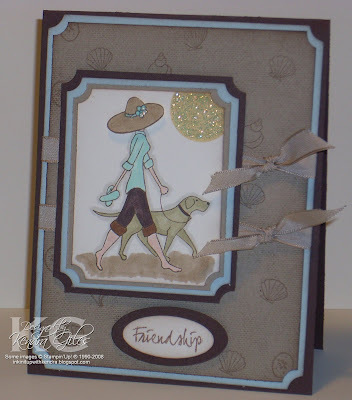 Kristi is offering FREE SHIPPING on your order of Hanna Stamps during the month of October!